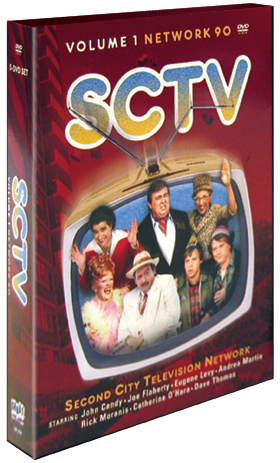 Eighteen years after production ended, the two-time Emmy-winner SCTV Network/90 - Volume 1 will be available for the first time on home video, in a 5-disc DVD box set. 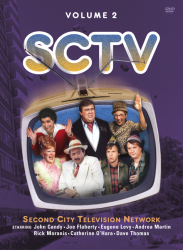 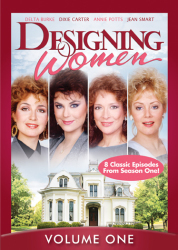 This volume features the shows that star comedy's brightest northern lights: Eugene Levy (American Wedding), Joe Flaherty (National Security), Rick Moranis (Honey, I Shrunk The Kids 1, 2 & 3), Andrea Martin (My Big Fat Greek Wedding), Catherine O'Hara (A Mighty Wind), Dave Thomas (Who's Your Daddy?) 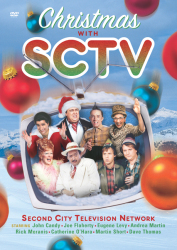 and the late John Candy (Uncle Buck). 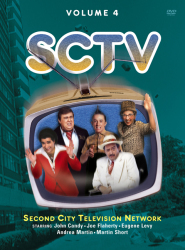 In 1977, the Canadian-produced SCTV began as a 30-minute, edgy sketch comedy show born out of the Second City theatres. 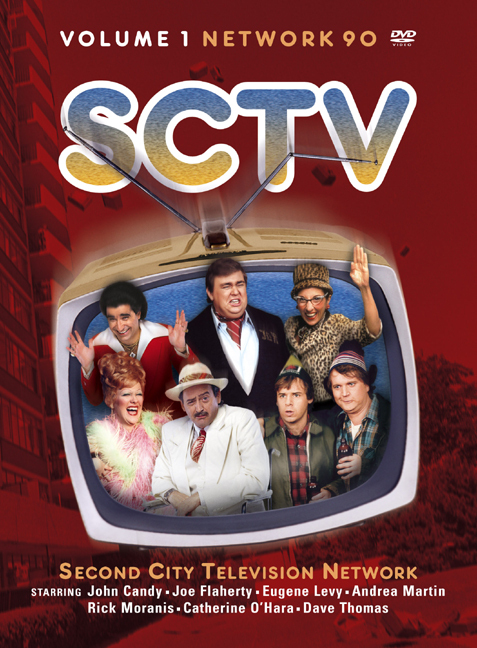 The show ran in syndication in the U.S. for several years. 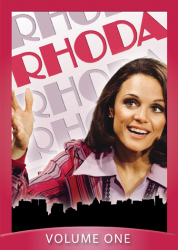 In 1981, it was picked up by NBC and moved to a 90-minute format. 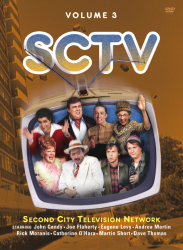 It ran for two years on NBC and was seen by millions of viewers each week. 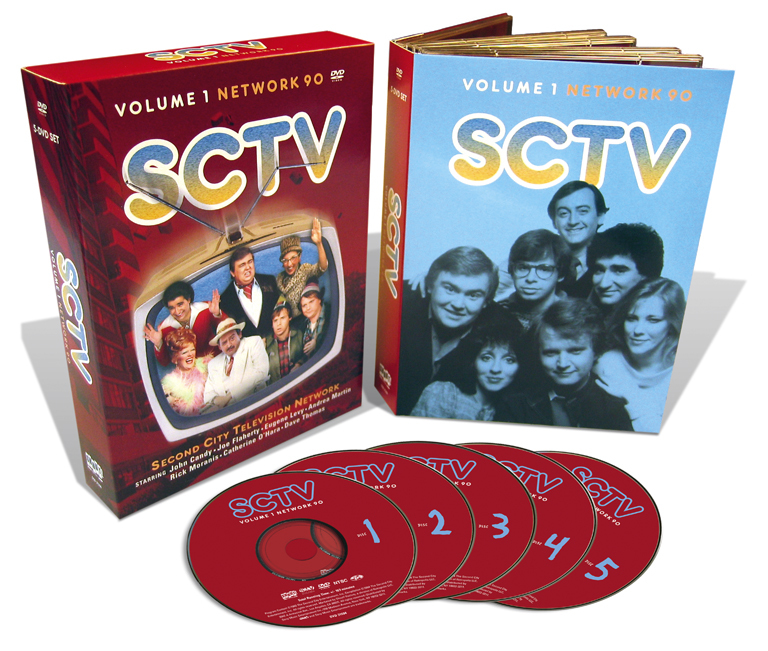 This first SCTV box set covers the first nine (Cycle 1 as it was referred to in Canada) 90-minute episodes and includes tons of special features.